Use our Quick Links below for answers to common employer questions, such as how to determine eligibility, report leaves, report payroll, update your contact info, and more. 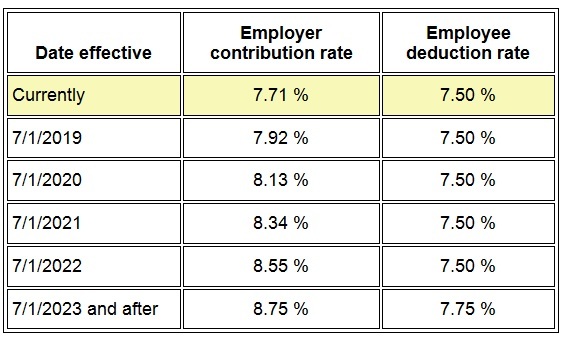 Contribution rates are determined by statute and subject to change by the Minnesota Legislature. Additional employer contribution of 3.64% required for Minneapolis school district. Member counseling: TRA counselors are available to meet with teachers at your location. The minimum group size is 10. Please contact TRA to arrange a visit. Social Security Administration: Excellent resource for state and local government employers.